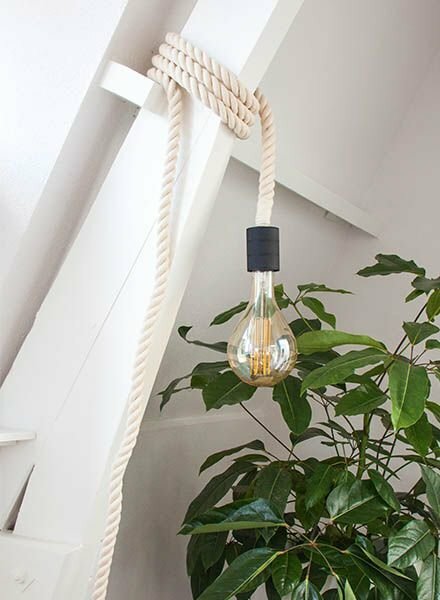 This beautiful industrial rope lamp, designed by JOKJOR, has an extra large sustainable light source. The LED pear is dimmable and no less than 16.2 cm in size. The natural white cotton rope is 4 cm thick and handmade. 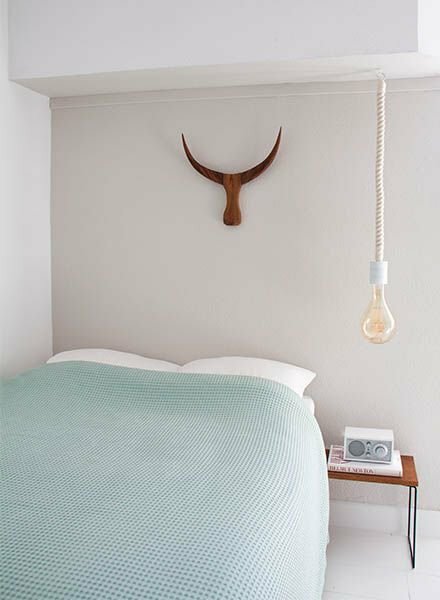 The JOKJOR rope lamp is an absolute statement in every room. 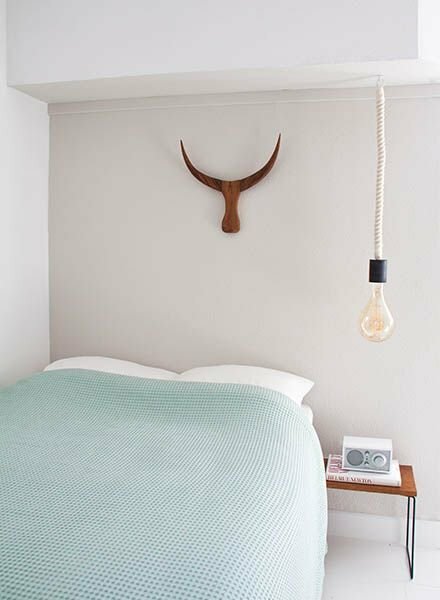 Whether in your home, at work or in an office: the lamp looks great. 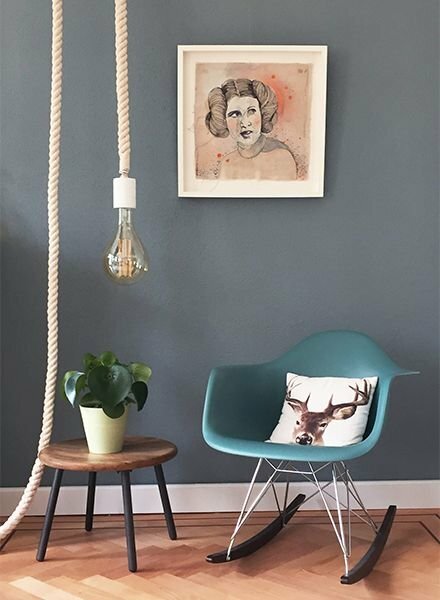 Depending on the length of rope chosen, it is possible to hang the XXL tear-shaped lamp from JOKJOR next to your bed or above your bath, chair, sofa or table. The light sources are available in a transparent or gold-colored finish. If you can use some inspiration, click here.